Most of us remember the Stuxnet worm that infected the Iranian Natanz nuclear plant back in the early 2000’s. I was privy to some of the researchers at Symantec that worked on decoding in and wrote this piece for ReadWrite in 2011 after being briefed about their efforts. 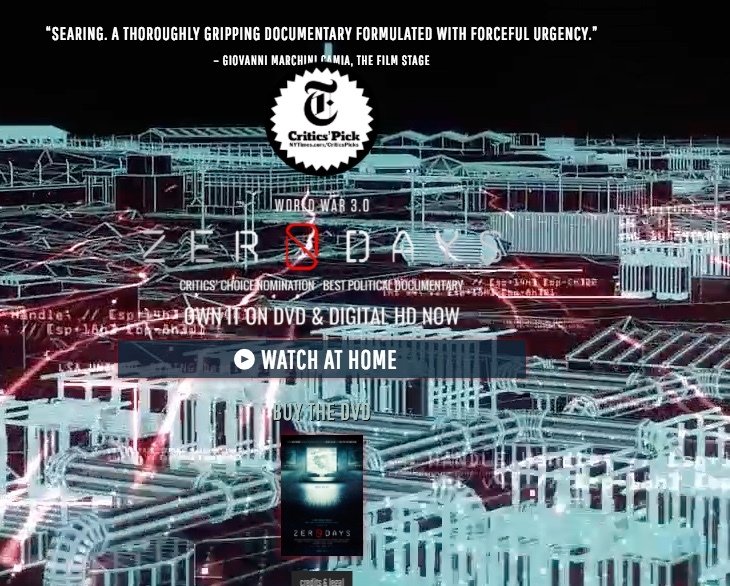 Now you can rent the movie called ZeroDays that was written and produced by Alex Gibney on Netflix. It was released last year, and goes into a lot more detail about how the worm came to be. Gibney interviews a variety of computer researchers and intelligence agency officials, one of whom is portrayed by an actress from the NSA (to disguise her identity). This person has the most interesting things to say in the movie, such as “at the NSA we would laugh because we always found a way to get across the airgap.” She admits that a combination of state-sponsored agencies from around the world collaborated on its creation and detonation at the plant. (Maybe that isn’t the best word to use given it was an enrichment plant.) She also gives some insight into the interactions between the NSA and the Mossad on how changes to the worm were done. Sadly and ironically, the actions surrounding Stuxnet motivated Iran to build a more advanced nuclear program today and assemble its own cyber army.